This is my first Bobbi Brown product and it's not really even mine. I told my mom how much I loved my Body Shop BB Cream (read my review here) so she was looking for one for herself. She went to SMETS in Brussels and got the Bobbi Brown Tinted Moisturizer. The woman working there told her she needed to use her daily moisturizer before using the Bobbi Brown which is quite disappointing because the goal was to avoid using moisturizer + another product. Anyway, my mom didn't want to keep the product so she gave it to me. I've heard so much about Bobbi Brown products and have always wanted to try some of their stuff. I'm still very happy with my Body Shop BB Cream so I'm not trying to replace it, I just want to compare the two products. Because I didn't buy it myself, I didn't choose the colour for the Bobbi Brown cream but my mom got the "Light Tint". I thought the colour would be lighter than my skin tone but it's not at all. It's actually much darker so I would probably use this more in the summer than in winter. My Body Shop BB Cream is colour n°1 which is the lightest and it's just a little bit darker than my skin tone but I love it. The first difference I noticed between the two products is the colour and the texture of the cream. 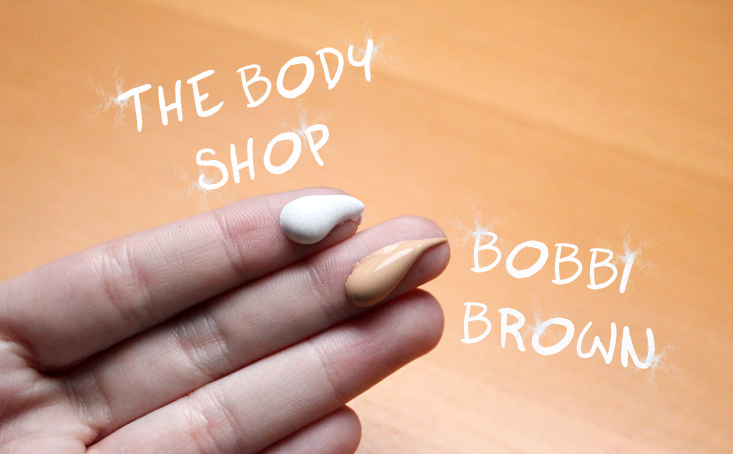 The Body Shop BB cream is white with small pigment micro beads (hard to tell on the picture) whereas the Bobbi Brown Tinted Moisturizer looks like foundation. Like I said in my previous review, The Body Shop BB Cream is quite dry therefore a little difficult to apply. 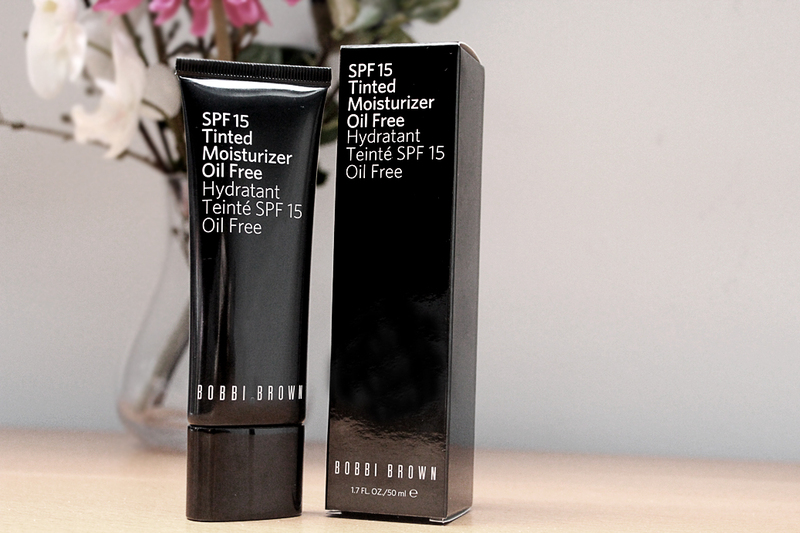 I really like how light the Bobbi Brown feels and how easy and quick it is to apply. I also like the fact that it's SPF 15 and especially oil free! I do think I have a better coverage with The Body Shop BB Cream though. I honestly like both products because they don't make my face all oily but I think I prefer The Body Shop BB Cream because it's cheaper and it gives a better coverage so why give the extra euros for an expensive product. 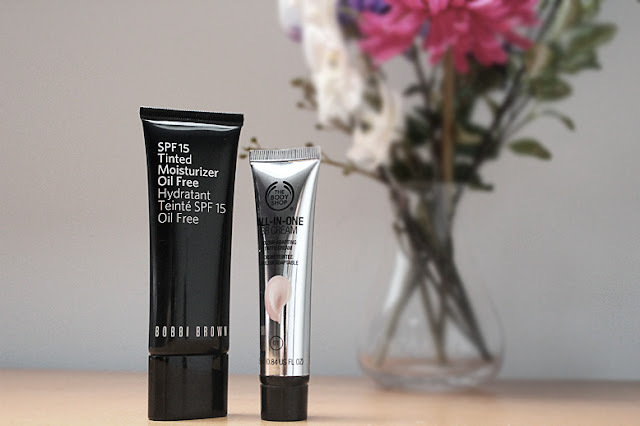 I will keep using the Bobbi Brown Tinted Moisturizer though but probably only during summer.